People all over the world come to Hawaii to experience the ghost hunting. Some of the islands, especially the isle the O’ahu, is famous for its supernatural phenomenon. Hawaii is one of the most beautiful places in the world, and if you are into paranormal activities, then you can combine vacation and adventure. 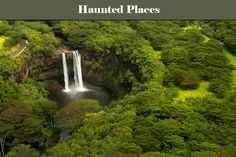 People also explore Hawaiian ghost tours, but they aren’t regular tours because they provide you maximum enjoyment, mixed with ultimate adventure. So, here are a couple of tips you can use when you go ghost hunting. Before you embark on this journey, make sure to bring all the necessary supplies. After all, you are heading to another part of the world. If you are a beginner, then bring a pen, paper, to keep track of any paranormal activity, a camera, a flashlight with plenty of batteries and if possible phone for use in emergencies. You will want to dress appropriately, wear comfortable shoes and a jacket. Keep in mind that Hawaii has a warm climate, so don’t go crazy with clothes. More advanced ghost hunters tend to buy more expensive equipment than beginners. But, since they can be pricey, beginners should test the water with essential gadgets. Even if you are investigating your home, it’s a good idea to examine the location before you start the search. Considering you are going to Hawaii, you should go online and check out the most hunted places on this island. You can prepare yourself for potential challenges and learn more about paranormal settings in an area. You should do the background research of the area and plan your ghost hunting. For example, you can find pictures of orb backscatter in your research because camera’s flash picks up invisible spirits and auras. Ghost hunts are not only more fun with a group, but they are also safer than going alone. You’ll never know that you’ll encounter, bring a buddy with you. Also, if you face some frightening situations, you will be able to prove you aren’t crazy since all your friends will see them as well. In most cases, you will be investigating a property that isn’t your own, so always ask for permission. You should acquire the owner’s permission, to avoid any legal consequences. In this way, no one will sue you for trespassing. For instance, if a property owner doesn’t want you to go ghost hunting in a particular area, then they have a good reason for that. Safety during a ghost hunting is imperative. If you are well prepared and research the best location, then your exploration will be exciting and safe. You can bring a first aid kit, with bandages and antibiotics. Also, save, and cautious ghost hunters don’t disturb any angry spirits, and they want to have an enjoyable adventure. 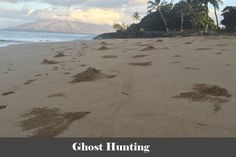 If you follow all these tips, then you are ready to go on your first Hawaiian ghost hunting expedition.